Everyone is up bright and early and ready to go home. We have a long day of traveling and will get home around 3:00am tomorrow morning. This trip has been a thought changing journey with perhaps some life adjustments in the near future. Immersion in this level of poverty plants seeds in all of our brains. It changes the perspective of what is important and what truly matters as we journey through this short life on earth. See all of you at home! Sadly, the end is here. For our last full day in Nicaragua, we were able to spend the day as tourists. We began our day (after an extra 30 minutes of sleep) with ziplining over a coffee plantation on the side of an inactive volcano. Some of us were even able to ride the lines as Superwoman or upside down. We saw howler monkies high in the canopies at one of the platforms during the zipline tour. After finishing the zipline tour, we enjoyed lunch at Tip Top, Nicaragua's version of KFC. YUM!! After finishing our lunch, we headed to the market where we had the opportunity to act as real tourists (I'm certain we stuck out like a sore thumb) and find gifts for ourselves and our families. The market is located in an old cement fort. Inside the market, we were able to find handmade pottery, paintings, and hammocks! Oh My! From the market, we drove to the site of an active volcano. We were instructed that we could spend only 10 minutes viewing the volcano as the sulfur levels were too high. Additionally, we were given very strict perimeters to protect us from sliding into the volcano. The views were breathtaking and we were lucky enough to see the fog clear and view the magma inside the volcano. The pictures were absolutely beautiful. We finished our day and our trip as a whole with an "Adios Dinner" from the LifeLink Staff. The group ventured to an Argentinean Steakhouse. We were able to choose from steak, chicken or fish! The food was amazing, especially the chimichurri! We took a moment to reflect on this past week's journey and how the trip impacted each of our lives. Day 5 Nicaragua! Sustainable Community Development in Action! Today was our last official work day as we attended the LifeLink International School. There were a few tears but a whole lot more love as we endured 91 degrees (and felt like 114 degrees with humidity), we had the privilege to educate both students and community members on dental hygiene, water filtration, as well as discuss the Red Elephant Project to 7th-grade girls. (Please check out the HWB website for more information on ways to support the project and keep these girls in school). Along with teaching, we had the opportunity to explore the community more in depth as we took a tour with the founder of LifeLink, Mike Turner, as well as met some of the families throughout the area. Some of the team members interacted with the students throughout the day by playing kicker (also known as kickball), soccer, painting nails, and practicing their Spanish speaking skills. HWB treated the team to Helado (ice cream) at one of Nicaragua's finest ice cream shop's called POPS! (pronounced POPES), indulged on Nicaraguan Pizza Hut, and weathered our first power outage of our stay. Tomorrow we will be heading into the city for some tourist activities so check out our final blog tomorrow night. We appreciate the love and support you have all given us and ask that you continue to keep us and the people of Nicaragua in your thoughts and prayers! Wednesday, day 4, we completed our medical camp! We were able to see 163 patients today in a community center setting. We saw patients with acute medical problems, chronic conditions, and untreated ailments. We were able to provide multiple pairs of reading glasses. The experience was very gratifying, especially receiving such appreciation from the patients. Patients were smiling, expressing gratitude, and were very happy to receive the care we were able to extend to them. The weather remains hot and very humid. It is amazing to see how these people are accustomed to wearing long sleeves and long pants in this very warm climate. The weather does not seem to bother the people. They seem eager to come for whatever care or services available. We are excited to venture to another school tomorrow and do some teaching projects we have planned for the students. The goals of our teaching will be health maintenance and education. It has been a long day, we're ready to get some rest and have a fresh start early tomorrow morning. , and rashes. The day was sunny with a temperature of 90 degrees with a humidity level over 75%. We have all endured the heat and humidity and are drinking lots of water and Gatorade! 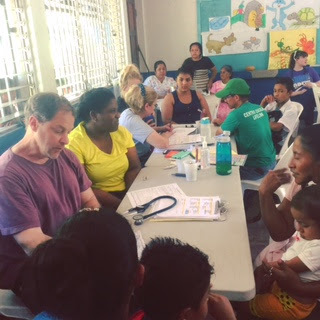 We were once again impressed with the gratitude and kindness of the people of Nicaragua as they traveled from their homes to elicit care at our medical camp. Today was our first day of clinic, which went very well :). We saw approximately 125 people with various conditions and concerns. The ages ranged from infancy to older adult population. The kids were excited to receive colorful stickers, crayons and candy, which help them with their comfort level during examinations. The environment was very fast paced but very organized. Our interpreters were amazing and we even got to use some of our Espanol!!! 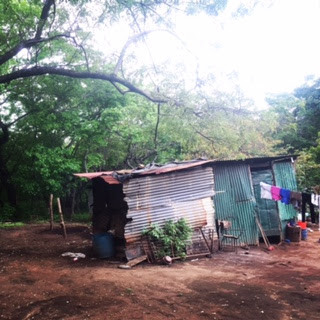 On our ride home we observed some very cool things that we do not commonly see at home such as oxen, horses and baby pigs roaming the streets; gorgeous scenery; colorful cemetery, and the beautiful people of Nicaragua. We debriefed at the end of the day to help prepare for our next clinical day. Ideas were suggested to improve the flow of the clinic day by having a triage area which would allow the nursing student to build their current clinical skills. We all agreed and we will implement a triage area starting tomorrow. We were happy to be able to help those who were in need and they were very receptive of our care and treatments. We look forward to what our next clinical day brings and how we can help those in need. Today was our first full day in Nicaragua. Our day began with devotion and preparing ourselves for the week ahead. Then we had a tour of a local mission school. At the school, we saw sustainability projects consisting of fish farming and growing fruit trees. 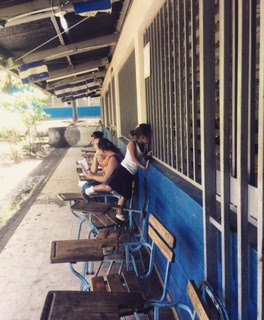 We spent much of the day preparing for medical camps and projects at the school that will occur later in the week. We had an opportunity to tour the local community, speaking with them about health concerns. We were welcomed into their homes and saw how they lived. We were very humbled and feel fortunate for all we have. Despite the less than optimal living conditions, all the people we encountered were grateful and happy. This evening we reflected on our day and discussed the clinics we will be operating in the next few days. We anticipate the work will be challenging. However, we are looking forward to the experiences of the medical camps and people we will help. Hope Without Borders 2017. Watermark theme. Theme images by Airyelf. Powered by Blogger.